You are invited to savor foods from around the world and specialties of the Pacific Northwest prepared in Seattle Culinary Academy's student-run restaurants and experience the delicacies and desserts that are artfully prepared by our Specialty Desserts & Breads students. As a guest in our restaurants, you are providing our students with a unique opportunity to hone their skills. We hope to see you soon!  For more information on hosting a private event, email SeattleCulinary@seattlecolleges.edu. Please include as many event particulars as possible in your initial correspondence - such as desired start date, party size, budget and type of occasion. We will respond to your inquiry as quickly as possible.